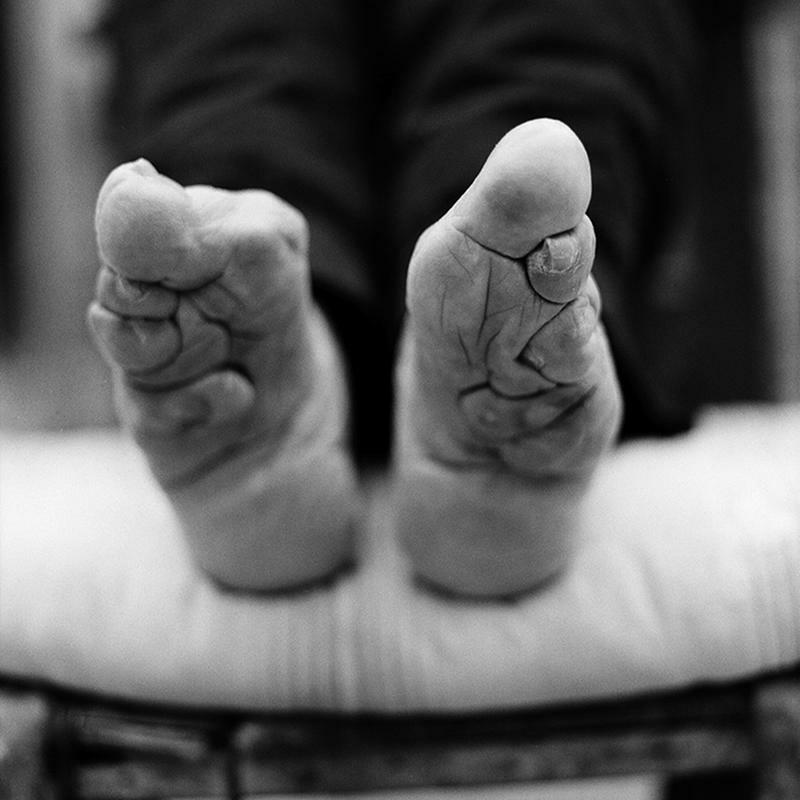 A Dying Tradition: The Last Living Women With "Lotus Feet"
Hong Kong-based photographer Jo Farell has spent the last 10 years documenting the dying tradition of foot binding - the practice of crushing a young girl’s feet into tiny “lotus” feet. 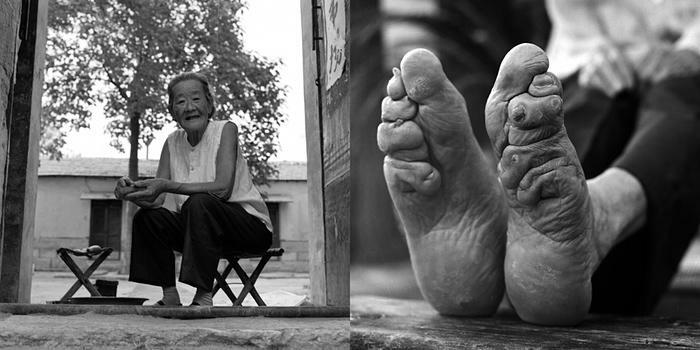 Farrell was able to track down the last living women who have their feet bounded. 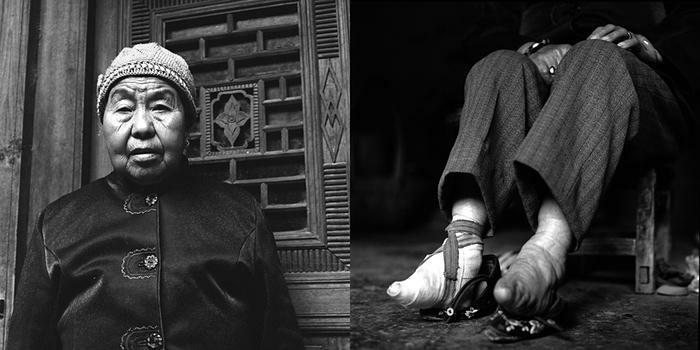 You can see the complete collection of her work on her book Living History: Bound Feet Women of China. Here are some of the photographs Farrell took. 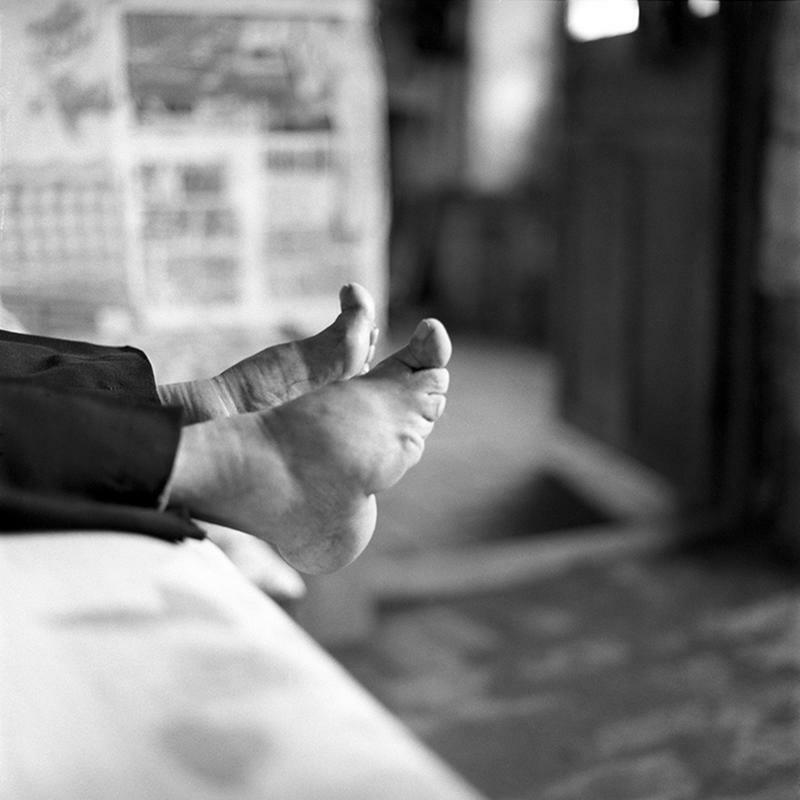 The process of binding feet starts before the arch is fully develop – somewhere between the ages of 4 and 9. The toes and arch would be broken with force. Unbound. Rebound. Rebound tighter. And repeat. The tradition is thought to have originated around the 10th century among the upper-class court dancers in Imperial China before spreading to the lower classes. Since it affected their ability to walk, it became a symbol of wealth – wealthy people didn’t need to walk or work in fields. These women, the last in a thousand-year-tradition, had their feet wrapped in tight bandages to keep them as small as possible. 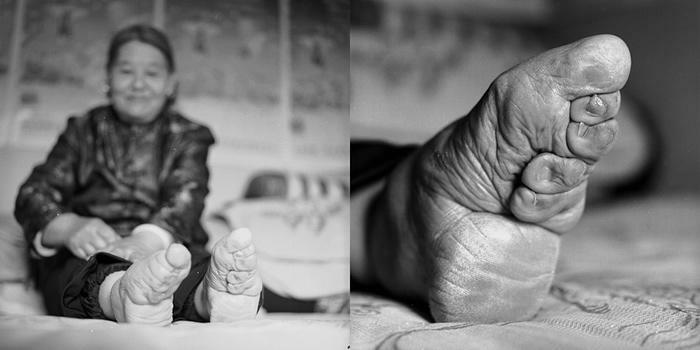 Back then, tiny feet were a symbol of beauty, status and wealth. 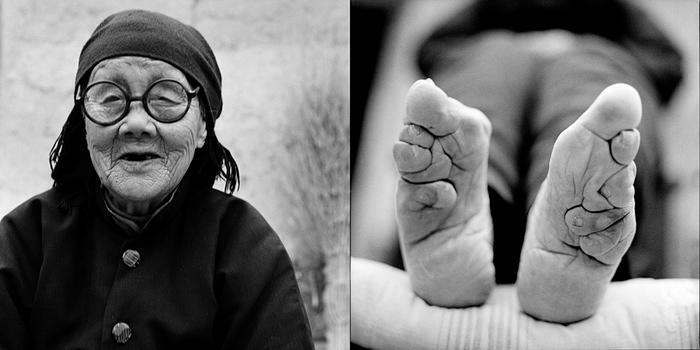 She was known as the most beautiful woman in her village because of her small, well-formed, lotus feet. She can no longer walk very far as her small feet can no longer support her weight. Feudal traditions had young girls bound their feet or else they wouldn't get married. 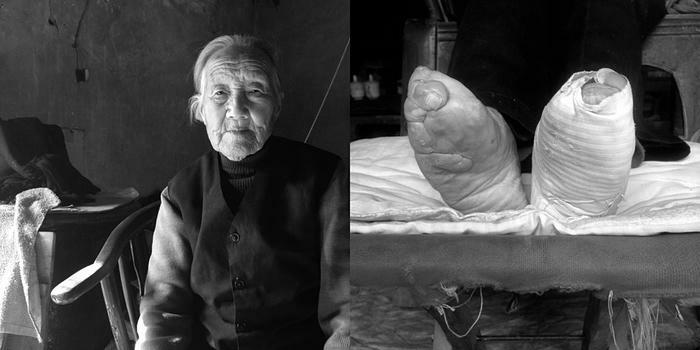 Su Xi Rong said that if she tried to unbind her feet, her grandmother would cut a slice of skin off her toes to punish her. 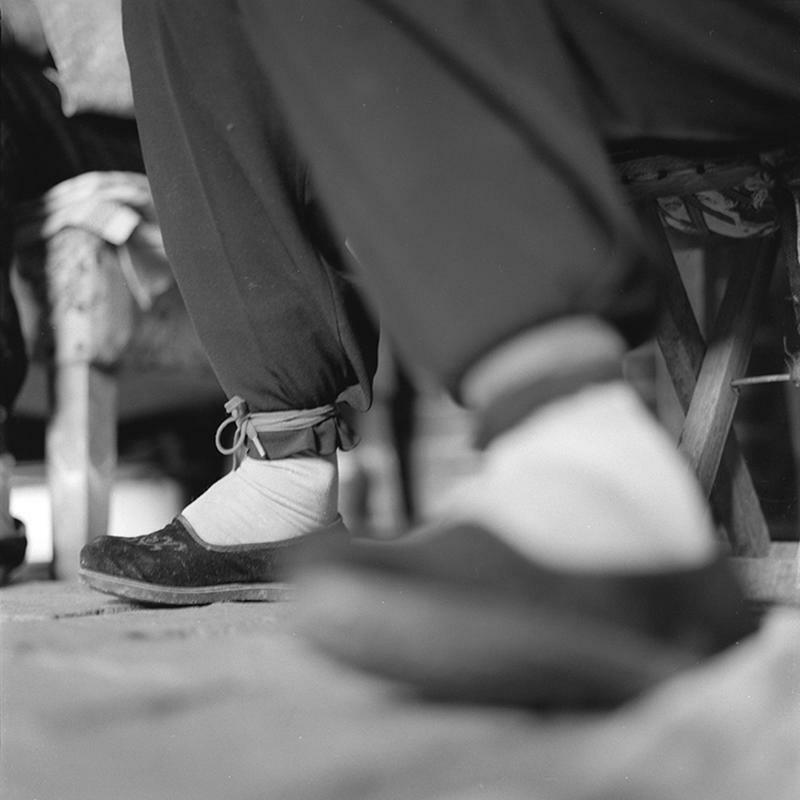 Pue’s feet were bound at seven and were briefly unbound when she was 12 (in 1949), as was required at that time. Unbinding hurt as it forced them to readjust the way they stood, and walk with broken toes. Pue has kept her feet bound to this day. Zhao was a very graceful woman. 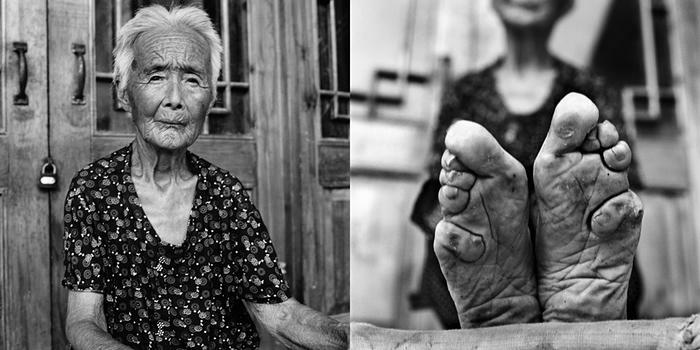 She grew up as a peasant farmer and her feet were bound when she was 15 years old. 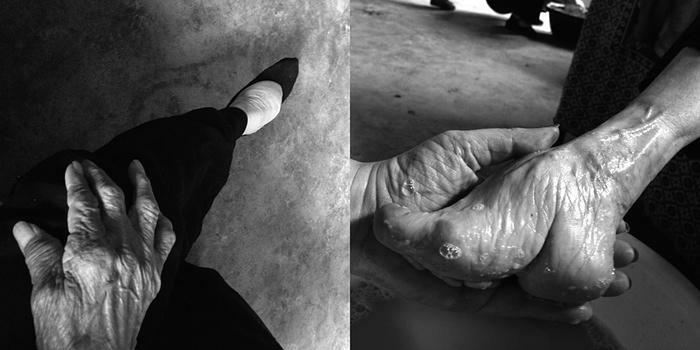 According to Farrell, Si Yin’s feet were the most distorted she have seen. They no longer look like feet as they've already taken the shape of the shoes. 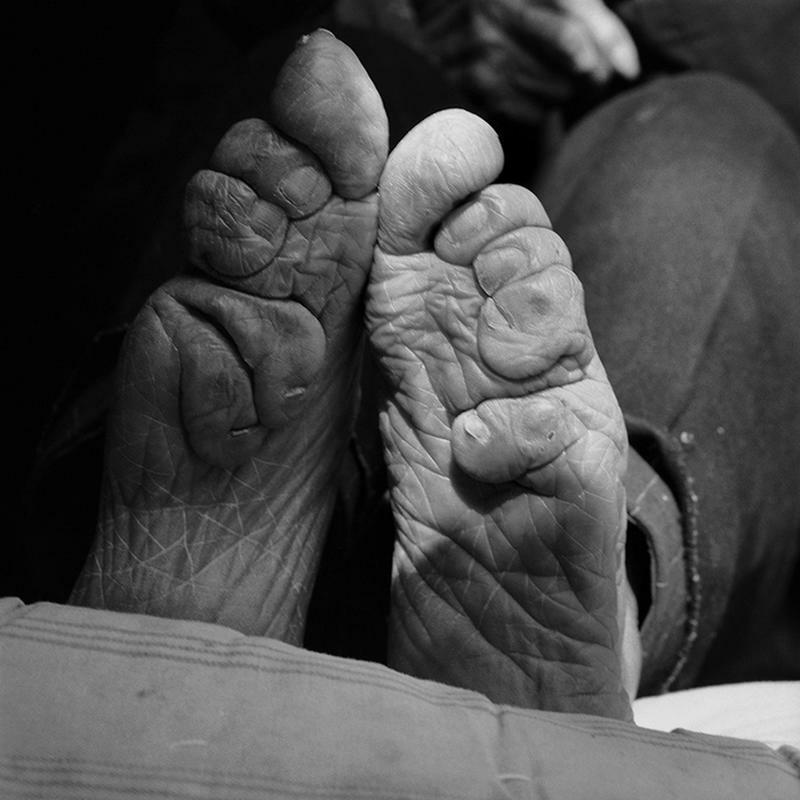 Si Yin's feet had never been unbound, and she had managed to keep them hidden. 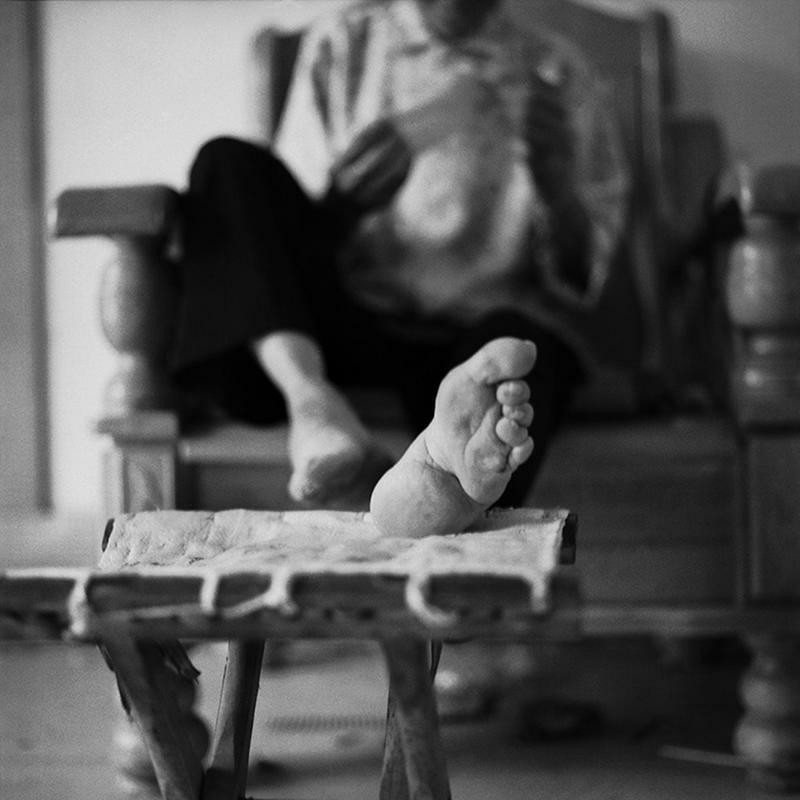 Her sister showed her how to bind her feet when she was just six years old, and they remained bound until 2010. She had decided to unbind her feet after so many years because she now needs help with the binding and no one does it correctly. 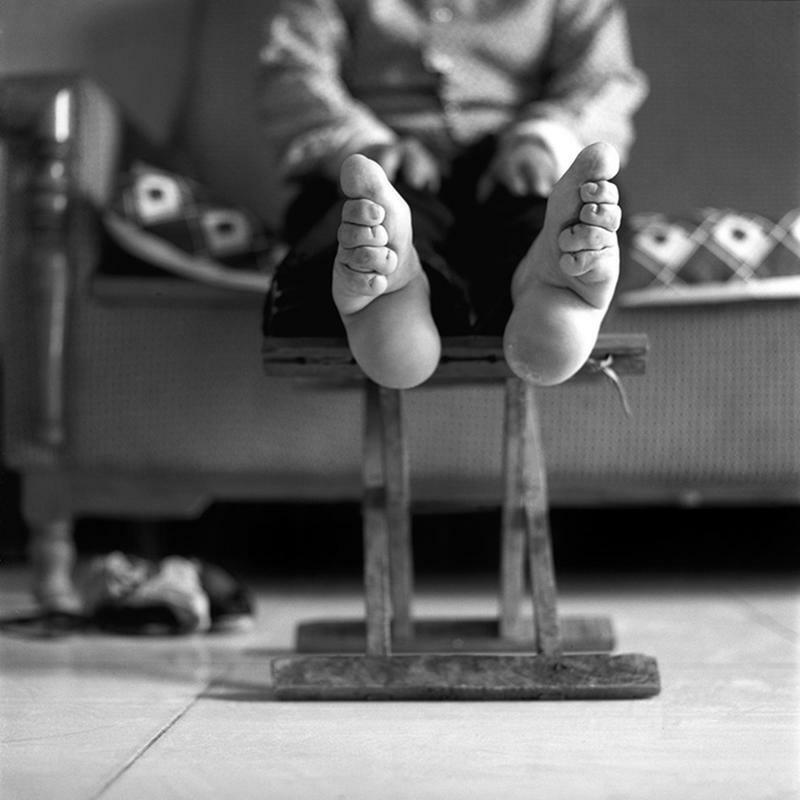 Yang’s feet were bound when she was just five years old by her grandmother. Photographer Jo Farrel met Zhang in November 2014. She claimed she was only 99. One of Zhang's daughters told Farrell that if Zhang felt anything older she felt closer to death. Her feet was bound when she was seven years old. She cried so much that her grandfather complained, but he couldn't stop it. She had her feet unbounded at 30, as women would be fined if they didn’t. 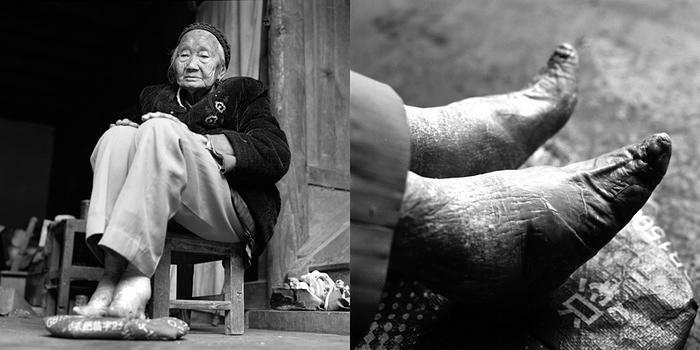 Guo’s mother didn't want her to bind her feet, so at the age of 15 she bound her own. She had watched how her mother did it and just copied her. 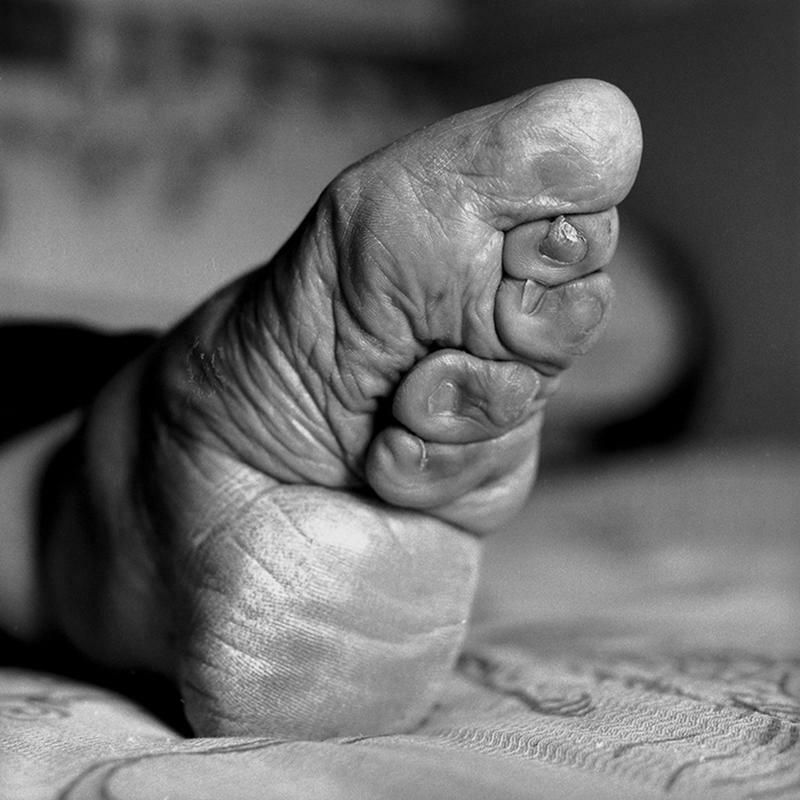 All her small toes are broken underneath the sole, but she didn’t manage to reduce the length of the feet.